COME OUT this Sunday to Gestalt in San Franciso when Gene X hosts the bay area official launch of STERN PINBALL’s newest game IRON MAIDEN! This is the debut design by multi-world pinball champion Keith Elwin. Registration starts at 1 PM and the tournament begins at 1:30 PM. $5 Entry for the tournament. Cash prizes and schwag. Over 50 beers on tap. Facebook event page here. 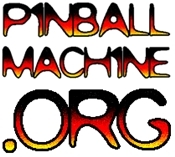 ← Pacific Pinball League Season 4 starts Wed. 5/9 @ 7 PM!